This online learning module gives a deeper understanding of the richly complex Kinship system by learning about the components of Moiety, Totem, Skin Names, language and traditional affiliations and individual identity. by Paasche-Orlow, Michael. Academic Medicine, 04/2004, Volume 79, Issue 4, 347-350. Provides introductory information on Aboriginal meteorology, resulting from millennia of observations of the plant and animal kingdoms. Provides resources for incorporating Indigenous Knowledge into science teaching. 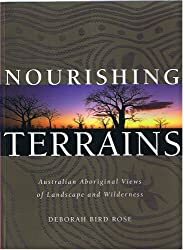 Nourishing terrains : Australian Aboriginal views of landscape and wilderness by Deborah Bird Rose. Supporting indigenous researchers : a practical guide for supervisors by Alison Laycock ... [et al. ].